Add another to the “Male Feminist Turns Out To Be A Sexual Harasser,” boys! As usual, the loudest guy in the room standing up for women’s rights is actually the guy causing all the trouble in the first place. 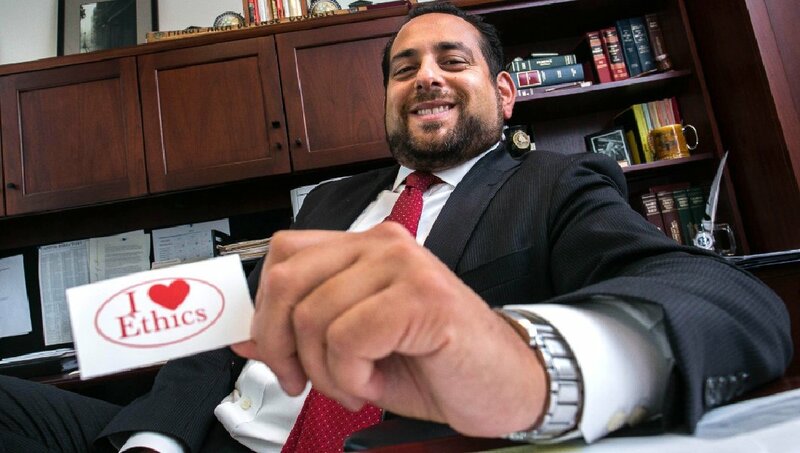 The staff director and chief counsel for the Office of Congressional Ethics, Omar Ashmawy, has been accused of physical abuse and sexual harassment by a group of men and women who are bringing up more details on an altercation that took place at a bar on Valentine’s Day in 2015. That year, February 14th landed on a Saturday night. The altercation had previously been through the legal wringer, but now one of Omar’s fellow brawlers wants to tack on an allegation of abuse of political power. That night, Omar took his girlfriend out for a $400 dinner, then out to the bar, where he was later hauled off in a police car.